The Bemidji State University men’s ice hockey team (12-11-3; 10-7-1-0 WCHA) heads to Sault Ste. 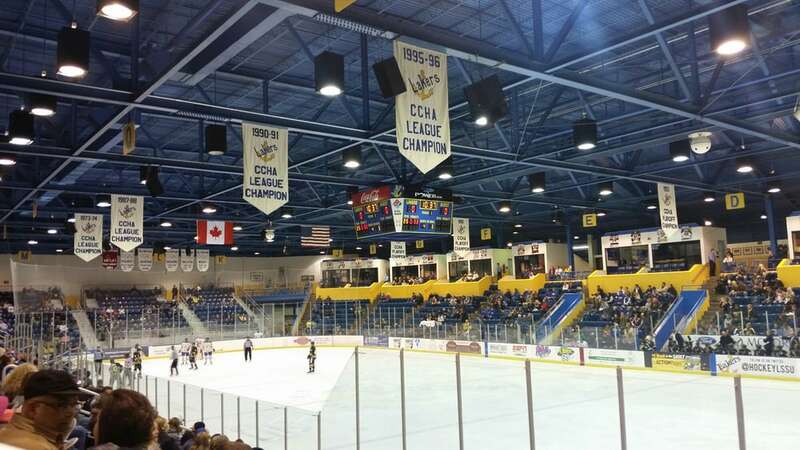 Marie, Michigan this weekend to renew a rivalry with the Lakers. BSU and LSSU met in the late ’60’s for a couple of National Titles. The Beavers are coming off a sweep at home over Michigan Tech. Lake State split with Minnesota State last weekend. The only game I went to in 65 was not on the lake. Just don’t remember then playing on the lake, not that I would know since didn’t go to another game till the Glas opened up. Let’s go men and win the game. The East Coast Tommy Muck fan club back with you again this weekend. Unfortunately the radio broadcast is 30 seconds ahead of the online TV broadcast so gonna have to figure out which one to follow! Either way hoping for another Beaver sweep this weekend! Did u and uncle stork have a chance to meet last weekend during hockey day MN? Is it warmer in MI than back in Bemidji?? Ur least favorite trip is actually Fairbanks, right??? There was a player that I graduated with in 2002 that you would have had fun time pronouncing. Saysana Phrakonkham – u can ask Bis, Andy, and Brad how to pronounce it. I had a bunch of classes with him.